Attorney General Grewal is a second-generation immigrant born and brought up in New Jersey. 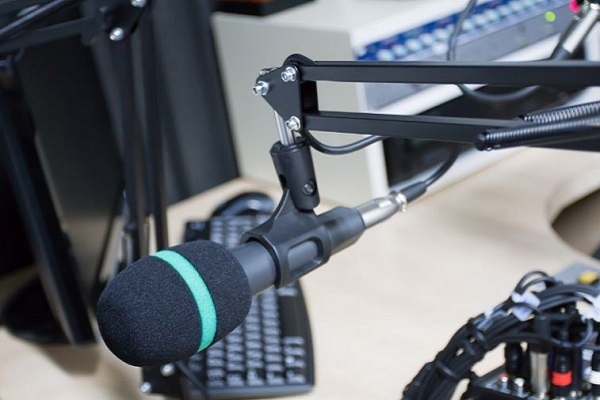 Two radio hosts from NJ 101.5FM have been suspended until August 6 after they referred multiple times to Gurbir Grewal, the State Attorney General, as “turban man.” Grewal is a practicing Sikh. Dennis Malloy, who co-hosts the “Dennis & Judi Show” with his professional partner Judi Franco, repeatedly told listeners they will never know Grewal’s name and will refer to the attorney general as “turban man.” The reaction of Franco was in more bad taste. She pronounced “Turban Man” by drawing out the words. Malloy, in his subsequent conversations with Franco, and presumably their listeners, which included Grewal, told that if his attitude offends anyone, then the person should not wear the turban. If the New Jersey Attorney General does not wear the religious clothing, then the radio anchor will remember and utter his name. The FM channel broadcasted this program on July 25. Grewal is a second-generation immigrant born and brought up in New Jersey. His parents immigrated from India before he was born. He is a devout Sikh and wears the turban, a headdress common among male Sikhs. Mallory tried to justify his bigotry by asking Franco whether she finds the phrase “Turban Man” offensive. She replied in the negative but added that people who wear this headdress may find it hurtful. Mallory then said if Franco called him Baseball Hat Man and he lived in a culture where baseball-wearing people are extremely rare, then he would not be offended. The radio host then informed the audience that the attorney general, again uttering the offensive phrase, is not going to prosecute marijuana-carrying NJ residents until September. This is important as Grewal ordered NJ prosecutors to adjourn every marijuana offense in the state until September. This is a step towards the decriminalization of the plant product as per the policies laid out by Democratic Governor Phil Murphy. If you think two DJs calling a man who wears a turban "turban man" qualifies as "hate speech" you have no idea what the term means. You are incompetent. Resign now. Attorney General Grewal gave a measured response via social media. He said his name is Gurbir Grewal and he is the 61st Attorney General of New Jersey and a Sikh American. He informed readers he has three daughters and he told them to switch off the radio. The attorney general also shared a speech where he spoke against intolerance at the capital’s yearly Asian Pacific American Institute for the Congressional awards event. He said that a few threats made against him are stomach churning.